Pré-Saint-Didier‎ (Aosta Valley): an enchanting location of rare beauty, where the waters are both beneficial and relaxing. 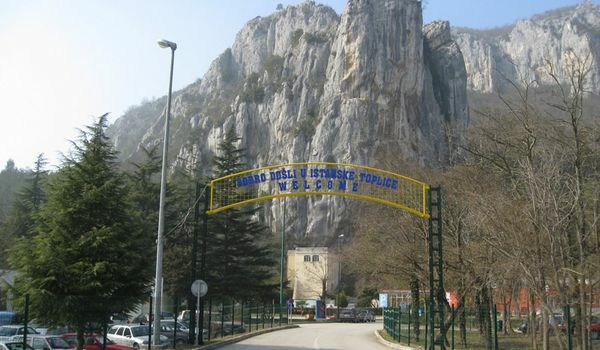 The baths offer views over the mountains. Terme Merano (Bolzano, Trentino Alto Adige): mountain landscapes, excursions and winter sports. At Terme Merano it is possible to tailor your holiday to suit your own needs, in the contemporary architectural surroundings that recall a town dedicated to wellness. Sirmione (Brescia, in Lombardy): the stunning Lake Garda, and a city rich in history, which also offers the wellness spa treatments of Terme di Sirmione. 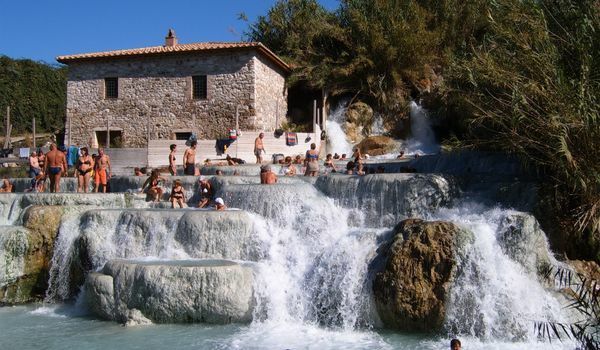 Saturnia (Manciano - Grosseto, Tuscany): the sulphurous waters create charming waterfalls, such as the exceptional Cascate del Mulino. Enchanting spots, surrounded by the wild, uncontaminated nature of the Maremma Nature Reserve. Fiuggi Terme (Frosinone, Lazio): an hour’s drive from Rome and the ideal location for a surprise romantic stay when visiting the capital. The baths at Fiuggi are well known for the beneficial properties of their water, for the treatment and prevention of kidney problems. The 10 best Italian Campsites and Tourist Villages Pet Friendly in Italy: the Pineto Beach Village & Camping - Pineto (TE) is the first one in 2019. The 10 best Italian Campsites and Villages for Art Cities: the Camping Village roma Capitol - Rome (RM) is the first one in the category Art City 2019.